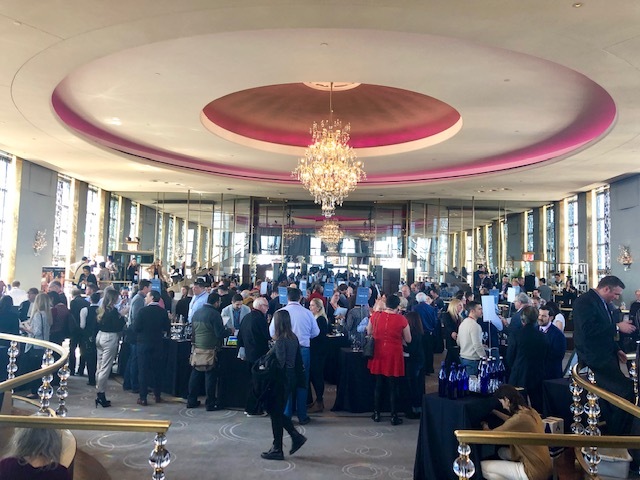 The annual grand tasting of NY Drinks NY took place last week, high atop Rockefeller Center in the gorgeous Rainbow Room. 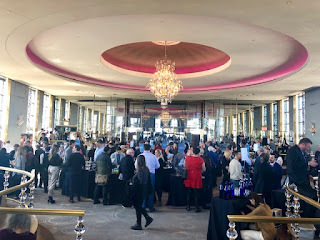 This NYC landmark was absolutely buzzing with local winemakers, trade and professionals seeking out the best of New York state wine. There were so many great producers on hand it's impossible to name them all but here are a few of my favorites. 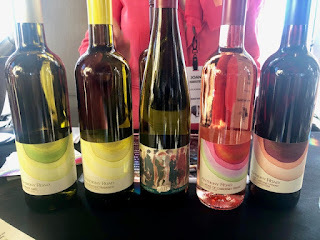 Anthony Road Art Riesling- This beautiful Riesling from Seneca Lake was spontaneously fermented using native yeast giving it bright peach, pear and a slightly funky flavor. The entire winery is family owned and operated down to the very last touches, like the beautiful artwork on the bottle painted by winemaker, wife and mother Ann Martini. Dr Konstantin Frank Sparkling Brut Rose- I love pink, bubbly roses and this might just be my favorite from the NY area. 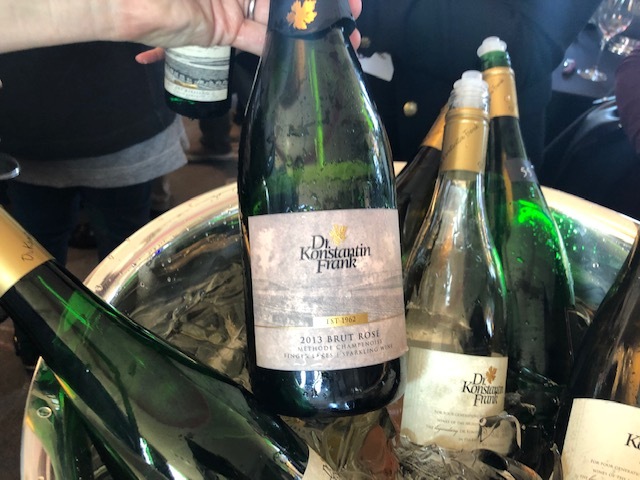 It's made from 100% Pinot Noir grapes from the 2nd oldest vines in the United States using classic methode champenoise, giving it a creamy texture with flavors of strawberry and raspberry with a smooth lingering finish. 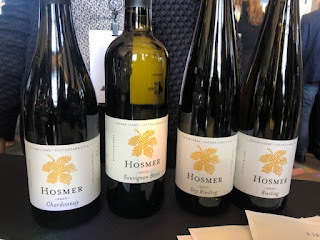 Hosmer Winery Sauvignon Blanc- I was impressed by all of the Hosmer wines but the Sauvignon Blanc really stood out for it's wonderful gooseberry aromas and crisp, clean flavors of peach and tangerine. 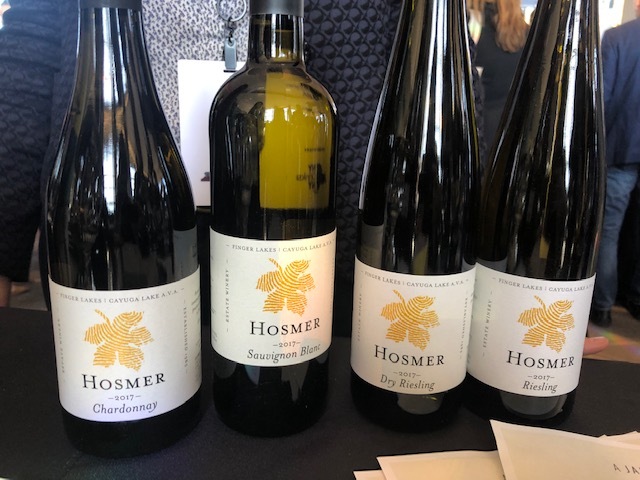 This was a classic New Zealand style Sauvignon somehow produced perfectly in the Finger Lakes. In addition to the walk around tasting I attended the Simply Red Wine seminar; although I must admit the gorgeous view kept distracting me from the actual wine discussion. 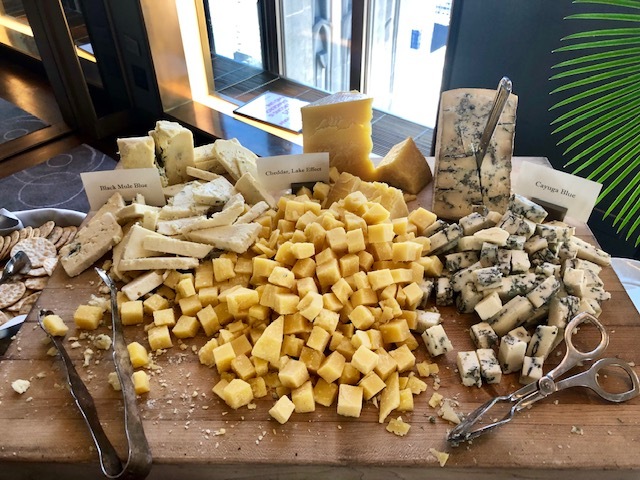 And of course New York churns out some amazing cheese, my favorites being the pungent Cayuga Blue and the nutty Silver Lake cheese from East Hill Creamery in Perry, New York; a place where I spent much of my time growing up. 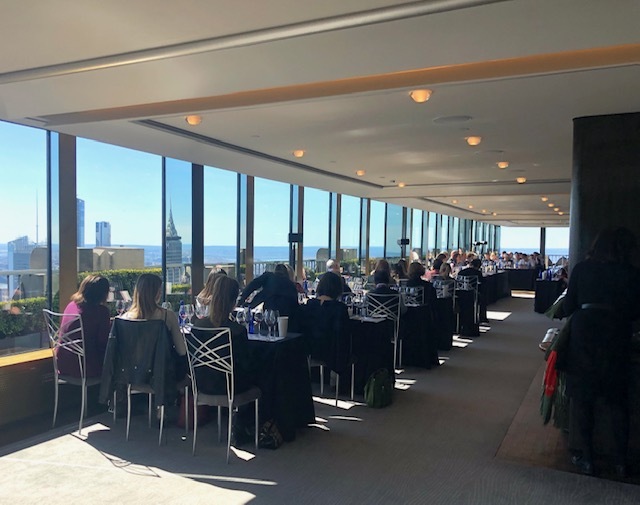 It was such an incredible event I couldn't help but think "I 💗 NY" all the way home.